LET’S AIM 4 THE HORIZON! 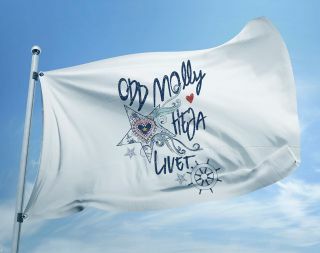 Together with social female network Heja Livet with over 86 000 followers Odd Molly takes on a new unexpected adventure! This September Odd Molly and Heja Livet invites 9 Swedish entrepreneurs and role models on a sailing trip in the Aegan Sea. The mission is to raise questions about entrepreneurship, courage, dreams and challenges together. Stay tuned for more updates and feel good inspiration! 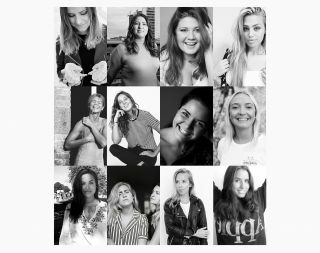 Sofie Johansson - Loving Sailing, Katarina Gospic – scientist, doctor, Elinor Samuelsson - Experience Designer and Speaker, Linda-Marie Nilsson – writer, Kim Gynnerstedt - HER Global Network, Victoria Carlsson - Denjo Dogs, Mikaela Åkerman - journalist, Sandra Stadelmann - digital nomad, Agnes Maltesdotter – photographer & Alexandra Kentsdottir – film director.